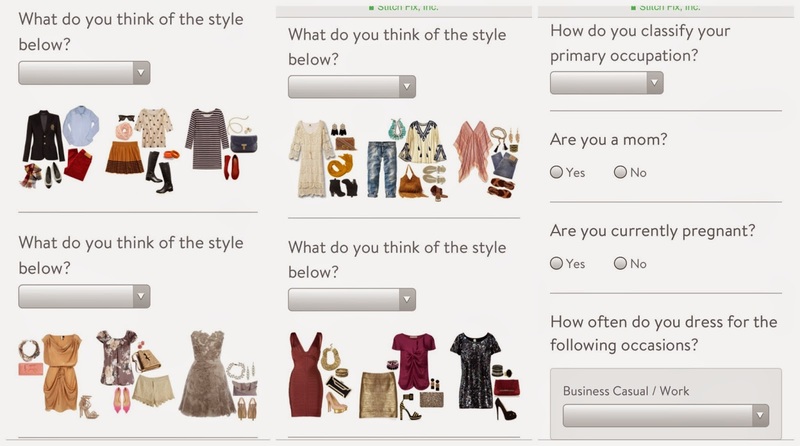 I am sure most of you know, or at least have heard of Stitch Fix. It is pretty popular and seems to be growing and growing. I had thought about giving it a try for a while, just to try something different. I was torn mainly because I own a clothing boutique, so I pretty much can wear whatever from my store (which is awesome, of course). BUT- sometimes, it just feels good to not wear something from my store, and just wear whatever the heck I want! 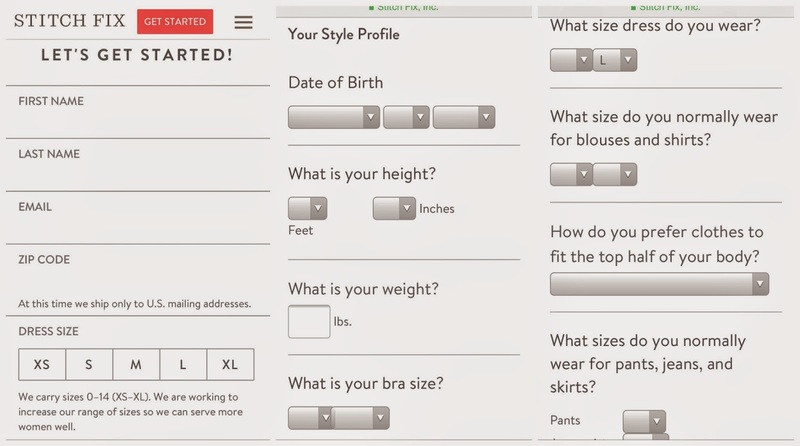 Anyway, for those of you considering Stitch Fix, or are curious, I figured I would give you a little breakdown as to what it is, and why it’s pretty cool. I am waiting for my first “fix” to arrive. Once it does, I will be sure to post about it! To start, here is a brief three step description of how it works. What I like is that you only pay for what you keep (you mail back what you don’t want in their pre-paid mailing bag). Also, the more feedback you give to your stylist, the better your experiences get each time. I also like to think it gets you to try things that you might otherwise not try! To start, pricing is pretty reasonable as well. I love that the initial fee is put towards your final order, so you aren’t out that $20. Pricing for your budget is key for me- I will get into more detail below. I love the next several questions, mainly because I am more of a visual person. Being able to see different styles and outfits helped! Some outfits I love, but literally would never wear them because of different reasons-I don’t really go anywhere that requires something super fancy, or I don’t have to get super dressed up for work. I was also able to share that in some of the questions they asked, which only benefits me in the long run- hopefully more items that I will keep! 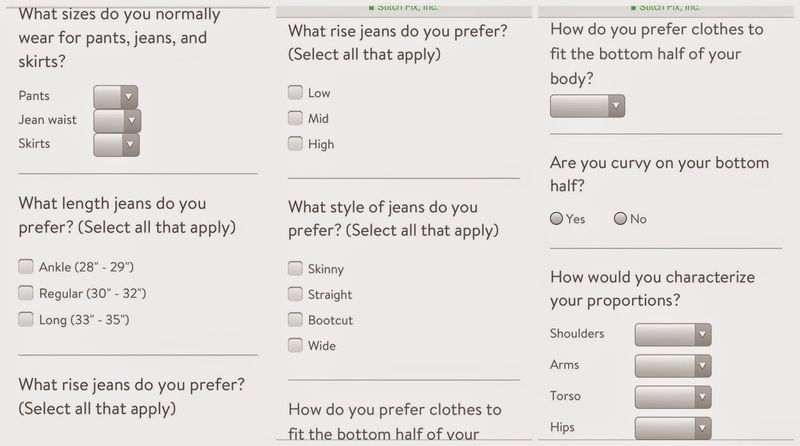 With style preferences, there are always things that you typically avoid, or you just know doesn’t work for you. They ask you to specify that as well! It goes on to ask other questions like what you like to flaunt, if there are any prints or fabrics to avoid, and how adventurous you want to be with your fixes! Do you want to stick to what you normally gravitate towards, or you do want to take a risk or two and try something you never have before? Once you get your profile all set up, they start working on your fix right away. They keep in contact with you to let you know when they are curating your fix and when it ships. You have input as to when your fix arrives so you can plan accordingly! I like that I can change it at any time. If I am feeling ‘bohemian chic’ one month, I can request outfits that fit that style. If I am feeling ‘edgy’ or ‘preppy’ the next month, I can request that instead! Also, with my working out and doing Weight Watchers, my size is going to change- having access to my profile to change my size preferences is key! You can change the frequency with how often you receive your fixes (every month, every other, or every three) or cancel at any time, so there is no need to worry about that either! I am telling you- the flexibility with your fixes is pretty awesome! 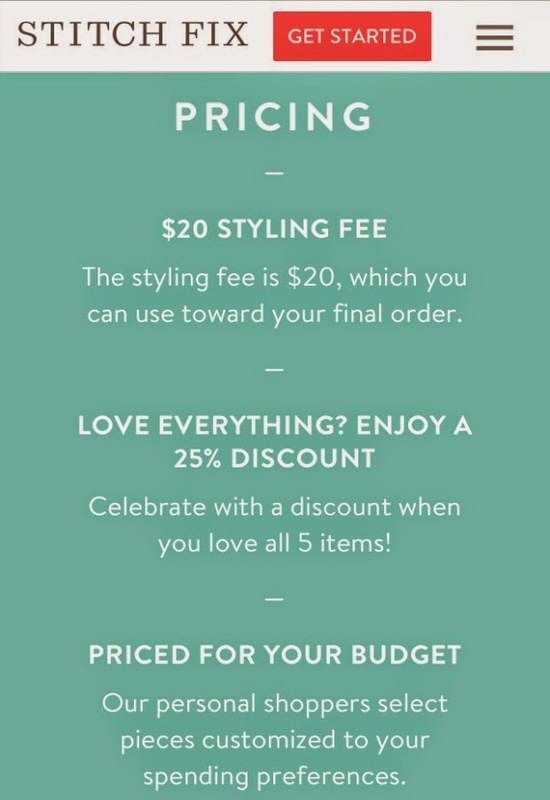 Another awesome feature of Stitch Fix is that they price match. If you find an item from your fix at a lower price within 7 days of receiving the item they will match the price for you and future clients that order the same product! Can’t beat that, can you? I am super anxious to go through my first fix and share with you all what I got! 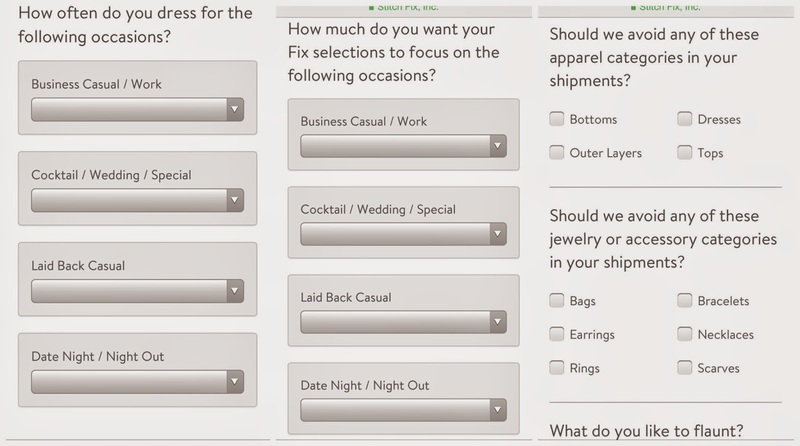 If you do Stitch Fix I’d love to hear how you love it! And I do realize Stitch Fix isn’t new and groundbreaking at this point to most, because it has been around for a good bit now, and there are a ton of people that use it, but it’s new and groundbreaking to ME! So, sharing it with those of you that are like me and trying it for the first time (or even hearing about it for the first time) just seemed appropriate to me! If you have any questions about it just let me know!